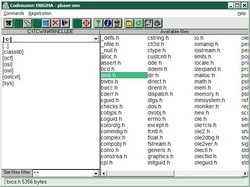 Codename: Enigma - phase one is a software designed to ensure confidentiality for any files by encrypting them. numerical encryption - converts all characters to their numeric representation using an internal key encryption. It is obvious that the program has the decryption functions corresponding to the three types of encryption.